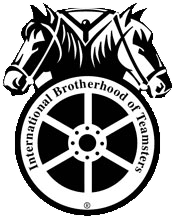 The International Brotherhood of Teamsters was founded when two separate trade unions, the Team Drivers International Union and the Teamsters National Union of America, joined forces to improve the grueling working conditions of team drivers and warehousemen, whose lives consisted of long hours with little pay. August 1903: the new organization met for the first time at Niagara Falls, New York; from this, grew the most powerful – and most famous – Labor Union the world has ever known. On October 1, 1903, the Teamsters opened their first national headquarters in Indianapolis, Indiana with Cornelius Shea serving as the first General President. Six years later, the Teamsters officially become the International Brotherhood of Teamsters, Chauffeurs, Stablemen and Helpers, a name that remained until 1940, when “Warehousemen” replaced “Stablemen” in recognition of changing times – thus giving the Union the name it would bear for the next fifty years. America was changing – and so were the Teamsters. In 1912, a motor vehicle made the first transcontinental delivery of merchandise and made transportation history. This sounded the death knell for team drivers, but rang in a new day of opportunity for Teamster members. America’s demand for new products and merchandise made the role of the transportation worker ever more vital. Through aggressive organizing, the Teamsters grew as fast as the transportation industry, increasing their membership from 40,000 in 1912 to 60,000 in 1915. Along with their membership grew their reputation. The Teamsters became known as a strong, dynamic, and militant Union that fought for workers’ rights, skillfully negotiated trend-setting contracts and improved working conditions for all. In 1920, under the leadership of General President, Dan Tobin, the Teamsters reached across the border and affiliated with the Canadian Trades and Labour Congress. That same year, they joined the American Federation of Labor’s National Building Trades Department. Having survived Prohibition, the Great Depression, and two World Wars, the Teamsters continued to grow as more and more American workers recognized the advantages in being a Union member. And with those numbers came clout. The Teamsters, who now possessed the economic power to stop a nation’s commerce, had become a major force to be reckoned with. In light of this, and to prepare for many political battles to come, the Teamsters realized they could better serve their members by taking the fight to Capitol Hill. So in 1953, the Teamsters moved their International Headquarters to Washington, DC; and, in that same year, developed its internal structure through the creation of Joint Councils and Area Conferences. Under the leadership of James R. Hoffa, the Teamsters found a political action voice with the creation of D.R.I.V.E. (Democrat, Republican, Independent, Voter Education). 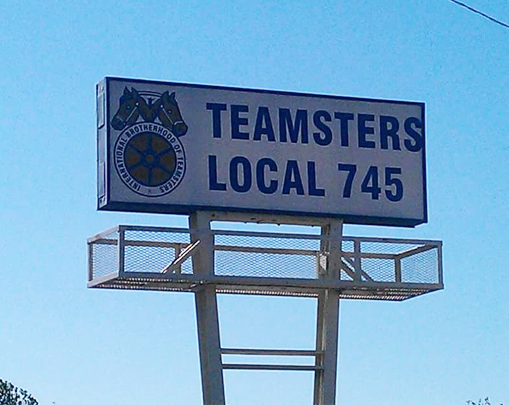 Teamster members could now be heard in the Halls of Congress. Today, D.R.I.V.E. is the second biggest political action committee (PAC) in the country. In 1964, the National Master Freight Agreement (NMFA) was born. At the time, it was seen as a historic agreement, one that consolidated thousands of freight workers into a single powerful force. During this very active period, the Teamsters began looking beyond the truck terminal to organize a variety of industries and workers such as public sector, healthcare, education, and manufacturing. Today, the International Brotherhood of Teamsters remains America’s more diverse Union. Even Walt Disney employees, including Mickey Mouse, are Teamsters. In 1987 the Union became known as the International Brotherhood of Teamsters. Today, a new millennium dawns and the Teamsters begin a second century of fighting for the rights of working families. Many things change, but our commitment to improve the lives of our 1.4 million members never will. Union members represent a broad cross section of America. They come from all walks of life in all parts of the country. They want what any American wants. Peace. Prosperity and Security. Dignity of the Individual. They want these for each and every American. There are two ways they go about getting them. One is through collective bargaining. The other is through political and social action. Let's talk about them one at a time. Collective bargaining is a rational, democratic and peaceful way to resolve conflict. In recent years, some 150,000 collective bargaining agreements have been made. Only two percent of them were affected by strikes. So in 98 percent of all cases, collective bargaining was successful. Not a bad record. Back around the turn of the century, things were different. There were not very many unions then, and those that existed had a tough time of it. Employer resistance to collective bargaining was fierce and many times violent. There was no National Labor Relations Act then to give workers the right to organize and to promote collective bargaining. But workers persisted and the fledgling unions survived. Collective Bargaining became the accepted way of regulating employer-employee disputes. It took a lot of nerve for employees to stand up for their rights in those days. There were no job safety standards, paid vacations, sick leave or retirement plan. Hiring and firing, promotion and layoff policies were under the exclusive control of employers. But they did it, and today we are enjoying the results. You can't put a price tag on the human dignity individual workers feel when they stand up for their rights, either. It hasn't changed today. Every time the Union-negotiated contract expires, the members have to assess the situation again. They look at their wages and compare them with current price levels; look at company profits; determine if pensions, health and medical plans are adequate. These are quantitative factors that go into wages and salaries at Collective Bargaining time. There are qualitative factors, too. Things like work rules, work speeds, occupational safety and health, time off for vacations and holidays, and promotion policies. Put them all together and you have a package of wages, benefits, and work rules that becomes the subject of contract negotiations. Employers - large or small - don't just hand out this package. The employees have to stick together, send their elected representatives into the negotiating room with employers or their representatives, and through a process of fact finding, discussion, argument and debate, make an agreement on just what the package will contain. Then the membership has to ratify or reject it. We call it collective bargaining, and it has played a vital part in lifting the living standards of the American worker to the highest level in the world. Think about this next time you hear a company official say, "Here's what we give our employees." Even if that company doesn't have a Union or the employees he is talking about aren't part of the Union in the firm, do you really think they would give these wages and benefits if there were no Unions? Maybe. But it isn't likely unless a pattern of Union-won gains is in existence. But even then, the employee has no voice in matters affecting the job. Where's the dignity in that system? Or security?